Kiwi Property was established in 1992 and listed on the NZX in December 1993. On 5 March 2019, Kiwi Property announced a new streamlined executive team structure to align more strongly the business to growth opportunities and position better the business for continued success. On 8 October 2018, Kiwi Property announced the arrival of Kmart to Sylvia Park. Kmart will initially open a 5,000 sqm store in 2019, and complements our $223 million retail Galleria project at Sylvia Park, due to be completed in mid-2020. On 16 July 2018, Clive Mackenzie begins in the role of Chief Executive Officer. In July 2018, Kiwi Property settled the $100 million sale of North City Shopping Centre, Porirua. Kiwi Property relocates its Auckland corporate office from 205 Queen Street to The Vero Centre, 48 Shortland Street. In December 2017, Kiwi Property settled the $123.2 million sale of The Majestic Centre, Wellington to Investec Property Limited, as the responsible entity for Investec Australia Property Fund. Kiwi Property acquired a 3.2 hectare property at 79 Carbine Road and 10 Clemow Drive in Mt Wellington, Auckland for $27.1 million. When combined with our existing landholdings on Carbine Road and Clemow Drive, this acquisition has enabled us to consolidate a 7.7 hectare landholding adjacent to Sylvia Park. We settled the acquisition of a further 30.6 hectares of land at Drury in South Auckland. This brought our total land holdings to 42.7 hectares. A third land parcel of 8.6 hectares, has been secured via a right of first refusal, with the purchase price to be determined with reference to the market when the right is exercised. Our vision for Drury is the creation of a town centre, to be developed over the next 20-years, to coincide with predicted population growth, household formation and employment growth in that region. We were proud to open New Zealand’s first ever stores for H&M, in purpose-built stores at Sylvia Park. Subsequently, we reported that in the 12 months to 31 March 2017, retail sales at the centre grew by 11% over the year, with the centre delivering strong growth in shopper patronage and market share. In April 2016, we entered an agreement to acquire a 50% interest in The Base shopping centre, in Hamilton for $192.5 million. The Base is New Zealand’s largest, single-site retail centre comprising both the Te Awa shopping mall and a large format retail centre. Kiwi Property will manage the property for the joint venture with Tainui Group Holdings Limited. Located immediately opposite our flagship retail asset, Sylvia Park, Sylvia Park Lifestyle was acquired in December 2014, providing our customers with a broad, complementary and compelling retail offer. In August 2014, we completed our first bond issue, raising $125 million in seven-year fixed rate senior secured bonds, thereby diversifying our debt capital sources. In December 2014, our investors approved a proposal, known as corporatisation, in which we changed from a trust to a company structure. This resulted in a new brand and logo being developed and launched. We changed our name to Kiwi Property and our New Zealand Stock Exchange ticker changed to KPG. CBA sold all of its interests in the Management companies to the Trust’s investors. In doing so, we moved from an externally managed model to an internally managed model. So, for the first time in our history, all of the Trust’s employees were employed directly by Kiwi Income Property Trust. 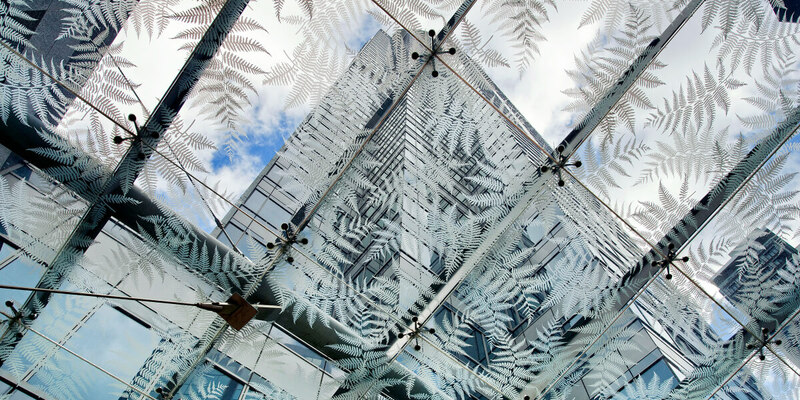 On the Auckland waterfront, at Wynyard Quarter, we developed a new landmark office building for ASB Bank. ASB North Wharf has gone on to win many prestigious architecture, design and environmental sustainability awards. A series of devastating earthquakes caused widespread damage across the South Island city of Christchurch. Kiwi Income Property Trust’s PricewaterhouseCoopers Tower performed well in the earthquake, with no loss of life, but was subsequently demolished and seismic remediation works were undertaken at Northlands Shopping Centre. Our current Chief Executive, Chris Gudgeon, was appointed. Over two years, we delivered Aucklanders with a superb new shopping destination in the form of Sylvia Park Shopping Centre. It has gone on to become one of New Zealand’s most successful shopping centres. Colonial First State Global Asset Management acquired 100% of the management company which managed the then Kiwi Income Property Trust. At the time, we were the largest externally managed REIT in the New Zealand market. In a strategic move, we acquired what was known as the Kiwi Development Trust. This trust was responsible for the development of the Royal & Sun Alliance building, which is today known as the Vero Centre and remains one of our flagship office assets in Auckland. Our founders, Ross Green and Richard Didsbury, divested a 50% interest in the Trust’s original management company, which resulted in Lend Lease having a joint ownership in the manager. We bolstered our asset diversity through the acquisition of The New Zealand Land Limited company, providing access to a portfolio of nine properties. Kiwi Income Property Trust was listed on the NZX in December 1993. At the time, we operated under an externally managed model and traded under the NZX ticker code of KIP. Kiwi Income Property Trust was established as an unlisted property trust by co-founders Ross Green and Richard Didsbury.